For years, one of the top recommendations to accelerate energy innovation has been to fund Department of Energy’s (DOE) Energy Frontier Research Centers, and today, they got $100 million. 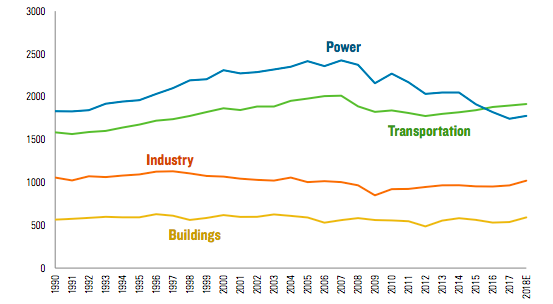 The money is for basic scientific research that can lay the groundwork for breakthroughs in energy production, storage, and use – accelerating advances in solar energy, electrical energy storage, carbon capture and sequestration, materials and chemistry by design, biosciences, and extreme environments, says DOE. "Today, we are mobilizing some of our most talented scientists to join forces and pursue the discoveries and breakthroughs that will lay the foundation for our nation’s energy future," says DOE Secretary Moniz. 32 out of 200 projects have been selected through a competitive process – 23 are at universities and the rest at DOE national labs. Awards range from $2 million to $4 million a year for up to four years, subject to a progress review in year two. An Energy Frontier Research Center led by General Electric, for example, is working on a water-based flow battery that could increase the range of electric cars to 250 miles. 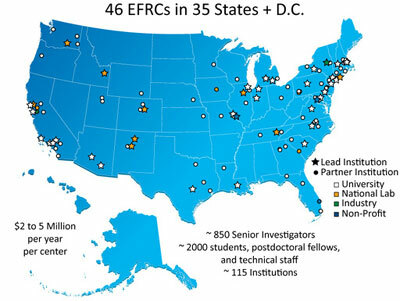 Since they were established in 2009 in DOE’s Office of Science, 46 Frontier Energy Research Centers have produced 5,400 peer-reviewed articles and hundreds of inventions that are at various stages of patenting. They started with $377 million in funding, mostly from the Recovery Act. This second round is a third of what experts say is needed. ARPA-E complements the program by shortening the path from these scientific discoveries to technology development and commercial deployment. DOE also announced six Wind Regional Resource Centers that will serve as information centers in each region of the US to support decision-making on wind projects. They will target priorities and challenges for wind energy in the area, bringing together local organizations and engaging diverse stakeholder groups. Its new WINDExchange website provides information on the costs and benefits of wind, technical assistance and guidance for simplifying the deployment process, and educational resources, such as wind resource maps, webinars and podcasts, the Wind for Schools Portal, and a Small Wind guide. Climate hubs: seven regional hubs run by the USDA, help farmers, ranchers and forest landowners learn how to reduce greenhouse gas emissions and more resilient to climate change impacts: drought, invasive insects and plants, fires and floods. National Network of Manufacturing Innovation Hubs: three hubs to start with a goal of 45, are designed to help the US lead on advanced manufacturing, while creating well-paying, middle class jobs.